"Don't change the station just yet." 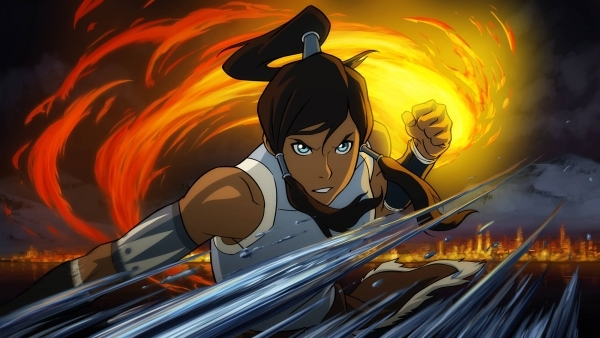 Legend of Korra fans will be excited to hear the premiere of Book Four has been revealed. Bryan Konietzko and Michael DiMartino, co-creators, announced the final series will premiere October 3rd. And no, that isn’t October 3rd of next year. On an account of low ratings, halfway through season three the show was pulled from television and aired on their website. Every Friday its devoted fans tuned in to watch, until its final episode three weeks ago. Now, fans won't have to wait long for the Nickelodeon show, since Book Four is just around the corner. In the 20-second video, Konietzko and DiMartino tell fans to “stay tuned, it’s going to be awesome,” as they stand in front of a screen with the titles of the book and chapter. Therefore, fans won’t have time to unwind or get rusty waiting for season four. The final season, which has been called “Balance,” will air every Friday on Nick.com or through the Nick app. Even more, Book Three’s Blu-ray release will be sometime in December.